As a special MANET (mobile ad hoc network), VANET (vehicular ad-hoc network) has two important properties: the network topology changes frequently, and communication links are unreliable. Both properties are caused by vehicle mobility. 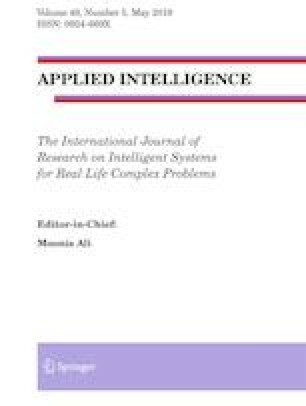 To predict the reliability of links between vehicles effectively and design a reliable routing service protocol to meet various QoS application requirements, in this paper, details of the motion characteristics of vehicles and the reasons that cause links to go down are analyzed. Then a link duration model based on time duration is proposed. Link reliability is evaluated and used as a key parameter to design a new routing protocol. Quick changes in topology make it a huge challenge to find and maintain the end-to-end optimal path, but the heuristic Q-Learning algorithm can dynamically adjust the routing path through interaction with the surrounding environment. This paper proposes a reliable self-adaptive routing algorithm (RSAR) based on this heuristic service algorithm. By combining the reliability parameter and adjusting the heuristic function, RSAR achieves good performance with VANET. With the NS-2 simulator, RSAR performance is proved. The results show that RSAR is very useful for many VANET applications. This research work is supported by National Natural Science Foundation of China (Grant No. 61571328), Tianjin Key Natural Science Foundation (No.13JCZDJC34600), CSC Foundation (No. 201308120010), Major projects of science and technology in Tianjin (No.15ZXDSGX 00050), Training plan of Tianjin University Innovation Team (No.TD12-5016, No.TD13-5025), Major projects of science and technology for their services in Tianjin (No.16ZXFWGX00010, No.17YFZC GX00360), the Key Subject Foundation of Tianjin (15JCYB JC46500), Training plan of Tianjin 131 Innovation Talent Team (No.TD2015-23).